Guns & Gear used- Glock 17 Gen 5 / Surefire X300 with 17 round Glock OEM mags. Ammunition was 124 grain GECO 9x19 FMJ. Class began on Saturday morning on the range, where initial course paperwork was completed and targets were set up. In attendance were qualified civilians, a West Virginia State Trooper, several FBI agents and other law enforcement personnel. Each and every student in attendance was at the top of their game in terms of weapons handling and manipulations, and the bar would be set very high for this class. Mike conducted a range safety brief, and it was off to the 3 yard line for Dot Torture. For the uninitiated, Dot Torture is a 50 round drill which reinforces the critical fundamentals of good handgun marksmanship; sight alignment, trigger press, reloads and one handed weapons shooting. Once Dot Torture was complete, Mike went down the line, and gave each individual shooter feedback based on their on-target performance. This drill would be repeated on day 2, but at the 5 yard line, where every student showed improvements in their accuracy. Next, Mike emphasized the importance of a fast handgun draw, from concealment, and presentation on target. For this drill, and for most of the other drills that we'd shoot for the next two days, a shot timer was employed. Mike made it clear from the beginning that there would be high standard with regards to draw / par times, and challenged students to get A-Zone hits consistently, and to then lower the par times, where most would reach a failure point. From this failure point, the student could focus and work to get their hits on target quickly, from concealment. Unconventional shooting positions were covered, such as sitting, kneeling and prone, as well as the mechanics of employing a handgun from a vehicle. Shooting drills on the move while walking, running and moving laterally were conducted, as well as one handed weapons manipulations and malfunction clearance. 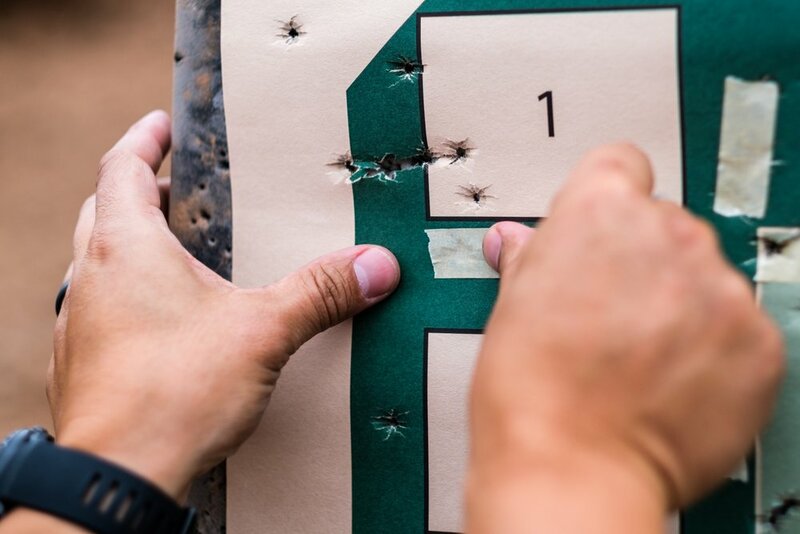 Barricade & multiple target engagement drills challenged the shooter, forcing them to focus on drawing and employing their handgun quickly, all while shooting multiple threat targets and managing their ammunition. All in all, this class was fast paced, challenging and immensely informative. Mike is a gifted instructor, and conveys concepts seamlessly to students. Mike is also an exceptional shooter, and after each demo, you know that he is a master of his craft. 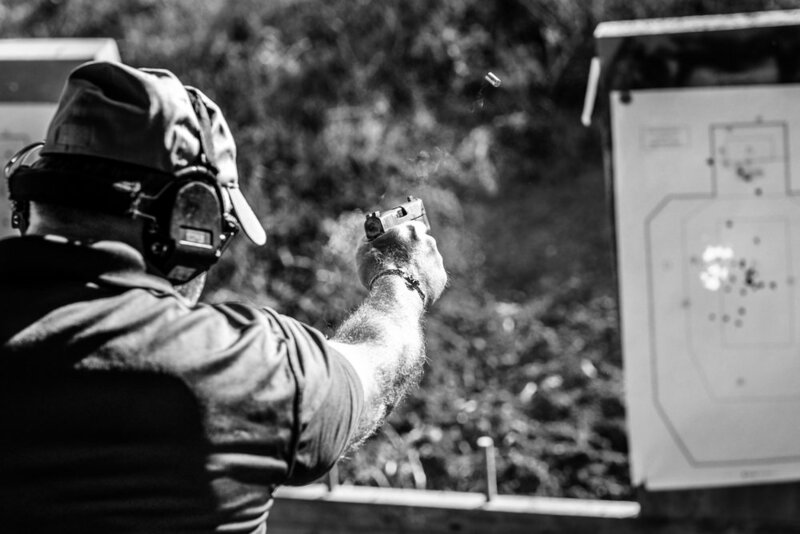 Anyone seeking top-shelf training on how to employ your handgun for defensive purposes would be well advised to seek out Green Ops for training. You won't regret it!